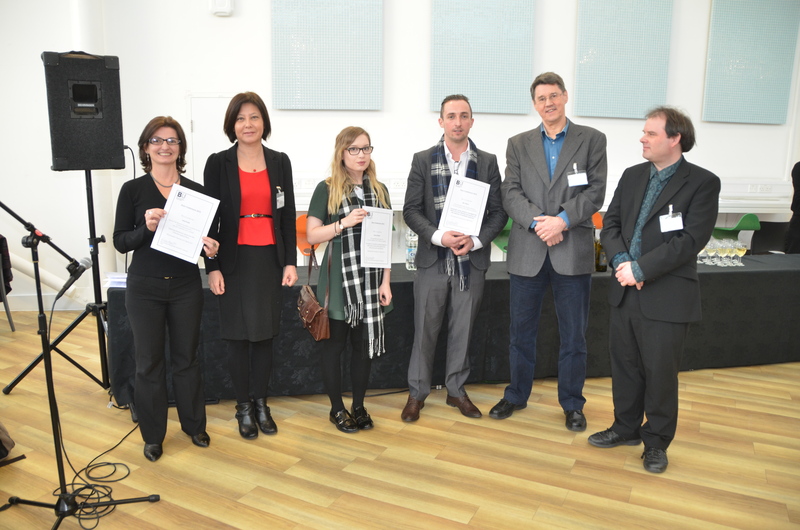 Students at Bournemouth University participated in the first ever SUREBU conference – showcasing research excellence at BU. Opening the conference, John Fletcher, Pro-Vice Chancellor of Research and Innovation at Bournemouth University said, “Research is fundamental both to the purpose of universities and to human development. Through carrying out research, we are able to discover new ideas and knowledge. Nearly 50 BU undergraduate students presented their research to a panel of academic experts, who awarded prizes to the best poster, best oral presentation and best overall contribution. Jozef Kulik, presented with the research excellence award and winner of a fully funded Masters at BU said, “My research uses EEG to examine the neural processing of facial disfigurement, and how reactions could be mediated by exposure. I took part in SUREBU because I wanted to gain experience of presenting my research publicly as I soon hope to be presenting at national conferences. Martin Luck, Professor of Education at the School of Biosciences at Nottingham University and part of SUREBU’s judging panel, commented “The research presented here today has been outstanding; of eminently publishable quality.